Today was Day #3 of Chocolate and Almond Theme Week. 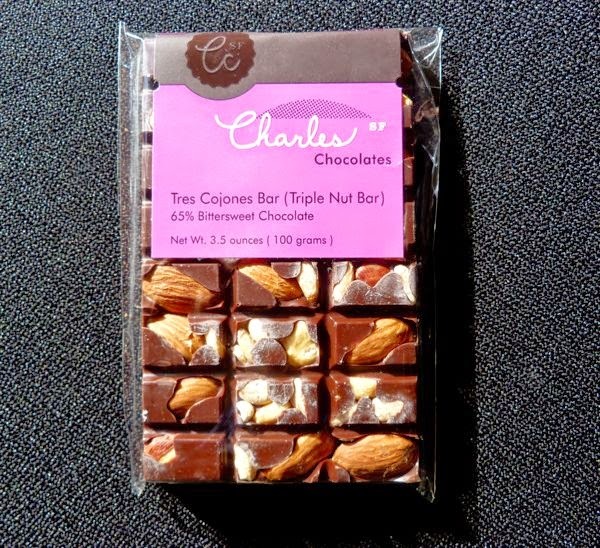 The Tres Cojones Bar (Triple Nut Bar) from Charles Chocolates (San Francisco, CA) was chock full of nuts (roasted almonds, hazelnuts and pine nuts) in 65% bittersweet chocolate. The bar's description on the back label acknowledged the slightly risque name: "While not the most serious name, this is one serious chocolate bar..."
I have to agree, it was seriously good. The nuts were perfectly roasted, adding satisfying, crunchy texture. 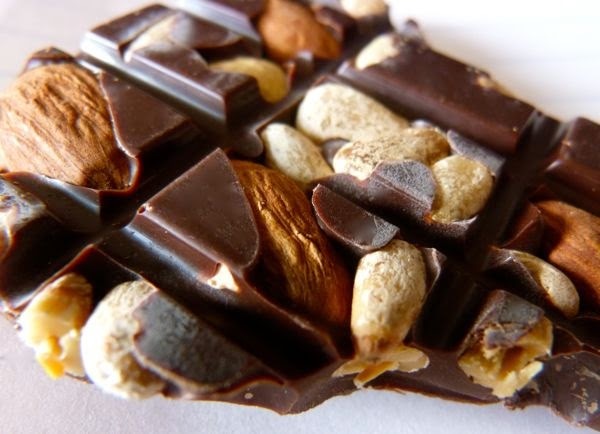 And a hint of sweet, nutty perfume infused this thick and smooth bittersweet bar.